I don’t know about you, but my sons were really excited about Halloween. We spent a whole week creating decorations in order to wait patiently for the trick or treating that was so desperately expected. 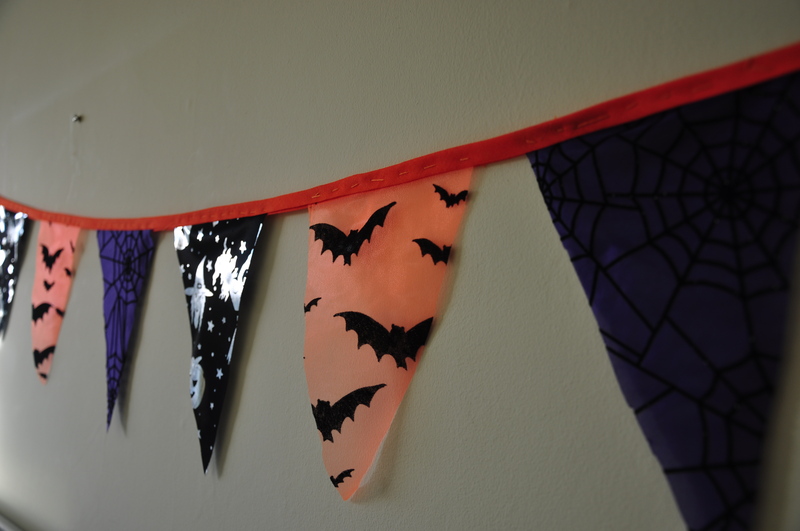 My eldest had tons of ideas: a bunting, paper bats, pompoms spiders and a scary sewn scenery… i was quite impressed! Off we went into Brighton to buy some cheap Halloween fabrics and felts. I cut some triangles out of the fabrics and he decided they should go as a pattern. I sewed one half and he did the other… Well, he had enough after the second triangle but, hey… I’m happy he sat down to do it at all!! He’s only 6 after all. Still, he was very encouraging of me finishing it off and loved the end result! 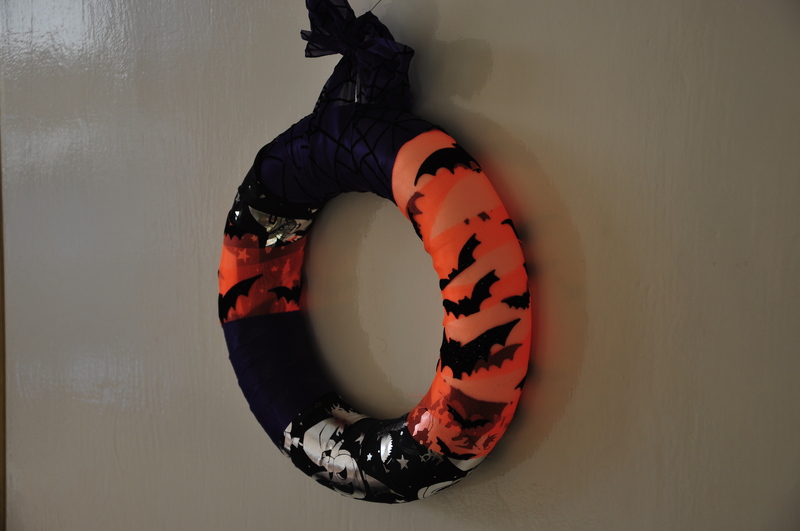 i also bought a foam wreath and I wrapped it with the different Halloween fabrics. We then made some paper bats and you can download the template on the BBC website. We used black paper, white and red coloring pencils. perfect! So Xmas is approaching fast (faster than I thought) and I’m pretty sure they will ask me to decorate the house for it… Any ideas anyone?